The Diplodocus was one of the biggest dinosaurs and the most known sauropod. It had a long neck and a small head. Its legs were sturdy, similar to the legs of elephants. 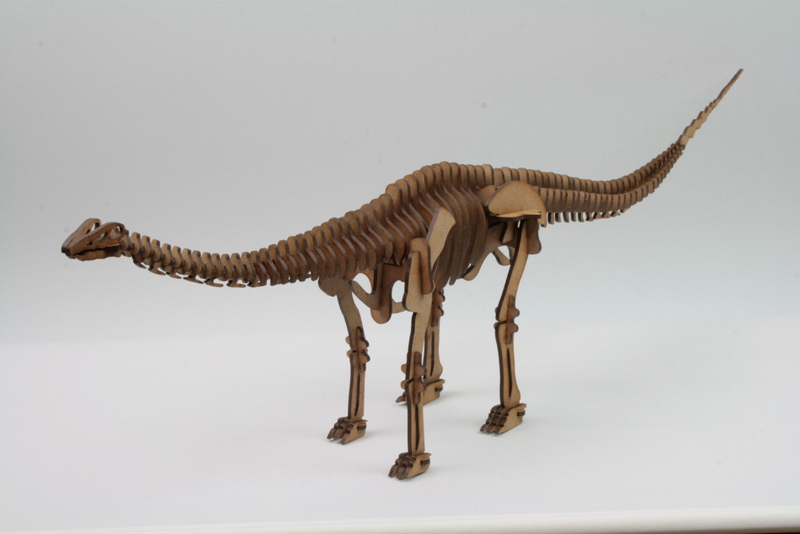 On each leg the Diplodocus had a claw used as a defensive weapon and for excavating nests for eggs. But its most distinctive feature was a long whip-like tail. The Diplodocus was one of the biggest dinosaurs and the most known sauropod. It had a long neck and a small head. Its legs were sturdy, similar to the legs of elephants. 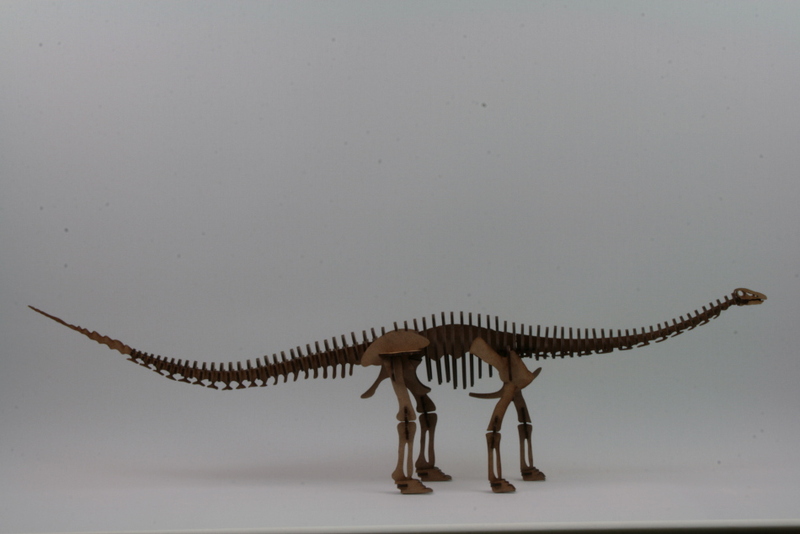 On each leg the Diplodocus had a claw used as a defensive weapon and for excavating nests for eggs. But its most distinctive feature was a long whip-like tail. It has been proposed that the Diplodocus had arched legs like the ones lizards have, but this theory has been discarded. The eggs of Diplodocus were the size of a football ball. The babies were 50 cm long and were attacked by animals such as the Ornitholestes. That was the reason why they hid in the forest until they were big enough to deter predators. These young dinosaurs put on a ton each year until they reached maturity at the age of 20 years. Then, they got old very quickly. As we said before, the most remarkable features of the Diplodocus were its long neck of 8 metres and the massive tail of 14 metres. The skull was small and light. When the Diplodocus rested on its tail it could reach a height of 15 metres. The tail could be used as a defensive weapon. The Diplodocus ate stones, called gastrolites, in order to smash vegetation in their stomachs without wasting time chewing. This way they could get a lot of nutrients. The Diplodocus disappeared at the end of the Jurassic Period, together with most dinosaurs, due to a mysterious event, probably the impact of a meteor. Diplodocus footprints were found in Texas. The most interesting thing about these footprints is that they only showed fore legs. That would be impossible, due to the massive weight of the Diplodocus. It is now believed that the dinosaur was in the water when it left these prints. The biggest species of Diplodocus was the Diplodocus hallorum. It was 40 metres long. This species was also called Seismosaurus which means ‘earthquake dinosaur’. Recent research shows that it was a giant species of Diplodocus without predators. During mating season male dinosaurs fight against each other. The winners of these fights used to be the oldest and biggest animals. Draws were very common and forced the dinosaurs to get on the rear legs. It was easy for them to break bones and cause ground movements. During mating females had to support ten additional tons of weight. They needed strong hips. Some early reconstructions of Diplodocus were incorrect. One of its first reconstructions showed the animal in a lizard-like position. It would be impossible for such a heavy dinosaur to adopt that position, since the legs would break. It was also believed that the Diplodocus excavated holes in the ground in order to lie on the floor with enough space for the stomach. Another reconstruction showed the Diplodocus with a trunk for getting food in the mouth. At the end of the XIX century, an American millionaire of Scottish origin, Andrew Carnegie, wanted to have a big dinosaur in his museum in Pittsburgh. A team of searchers started to work in Sheep Creek, Wyoming, and found two skeletons of Diplodocus. When Edward VII, King of England, saw a painting of a Diplodocus at Carnegie’s house, he asked for a replica of the animal to show it in Great Britain. The replica was installed in 1905 at the Natural History Museum in London.